Course Website: Official Website - Visit The European Club's official website by clicking on the link provided. 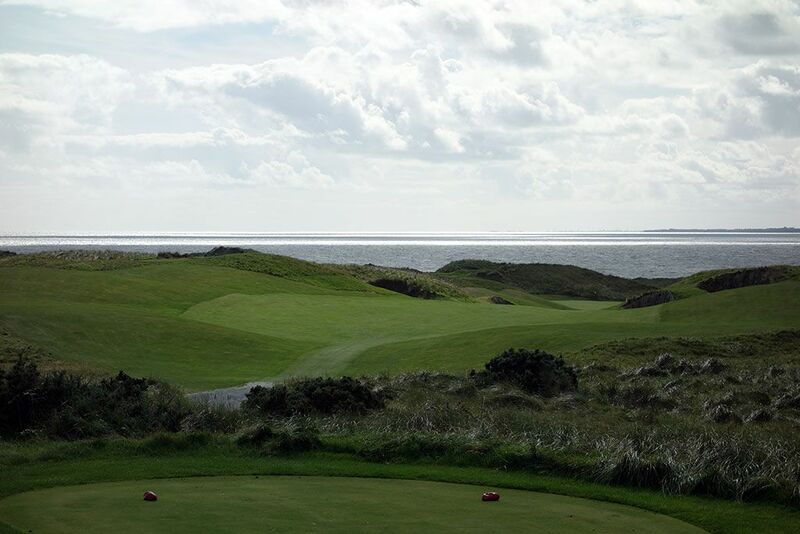 Accolades: Ranked 10th in Ireland by Golf Course Gurus. 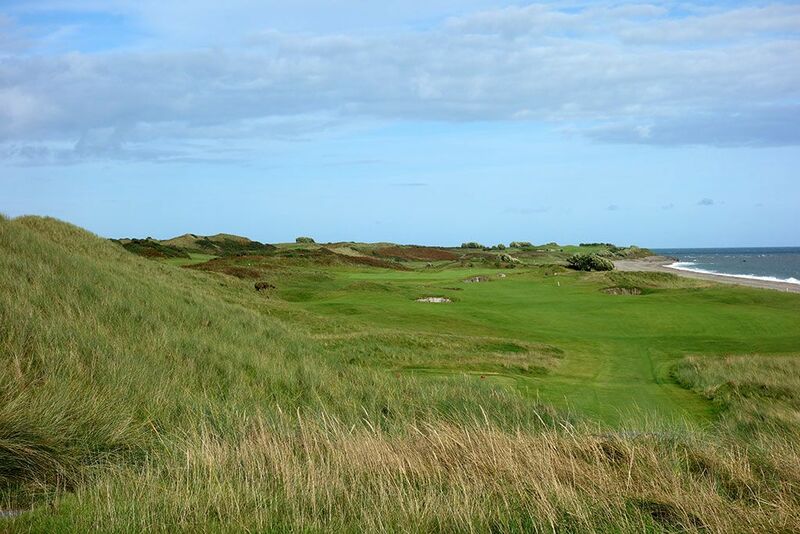 What to Expect: The European Club is the brainchild of Pat Ruddy and is often referred to as one of the few modern links masterpieces. 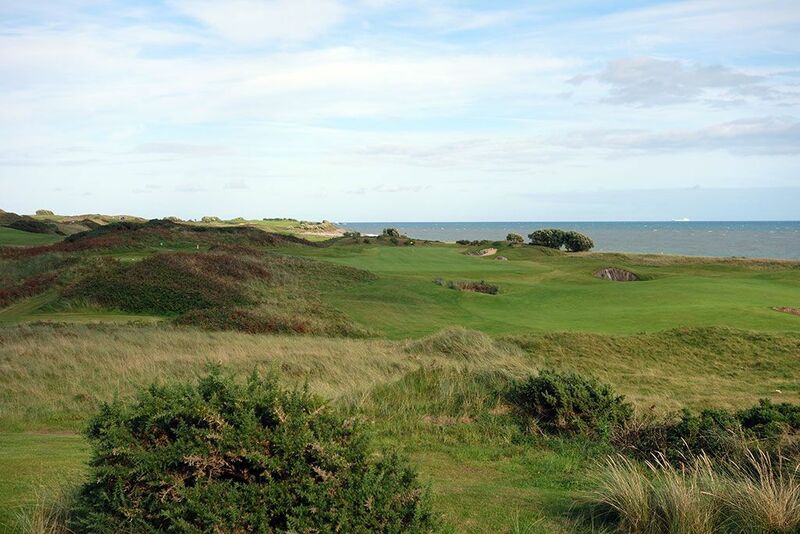 Located 40 miles down the coastline from Dublin, The European Club enjoys pure linksland that is highlighted by impressive sand dunes, varied terrain, and stunning shoreline along the Irish Sea. 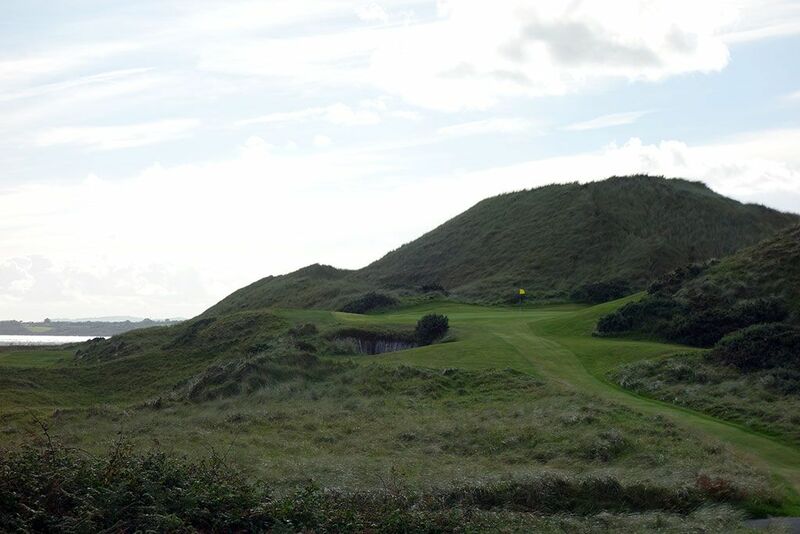 While the front nine enjoys some quality holes (the par five 3rd in particular), the back nine is where the course really shines with some all-Ireland offerings. 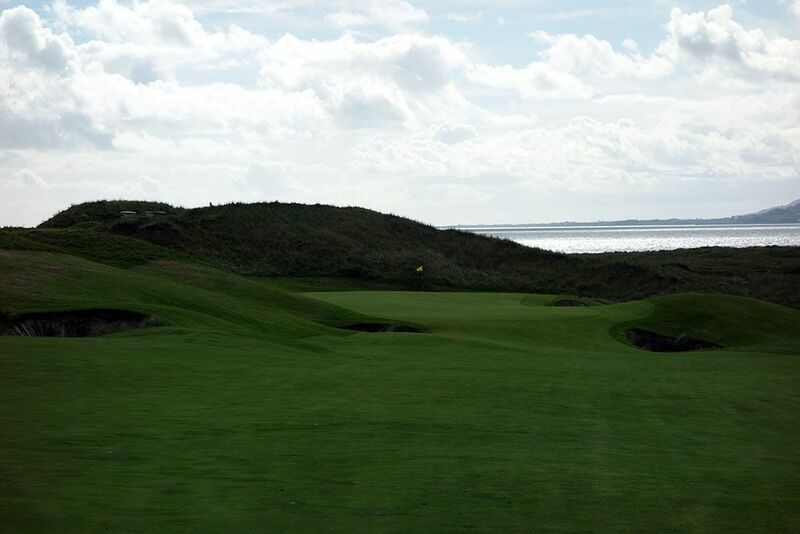 The long grass outside of the firm fairways can be unrelenting, the driving zones tight, and the bunkering penal which all contributes to the club's reputation as the toughest course in the Republic of Ireland, but the wind is what puts the biggest teeth and greatest variety to how the course plays. 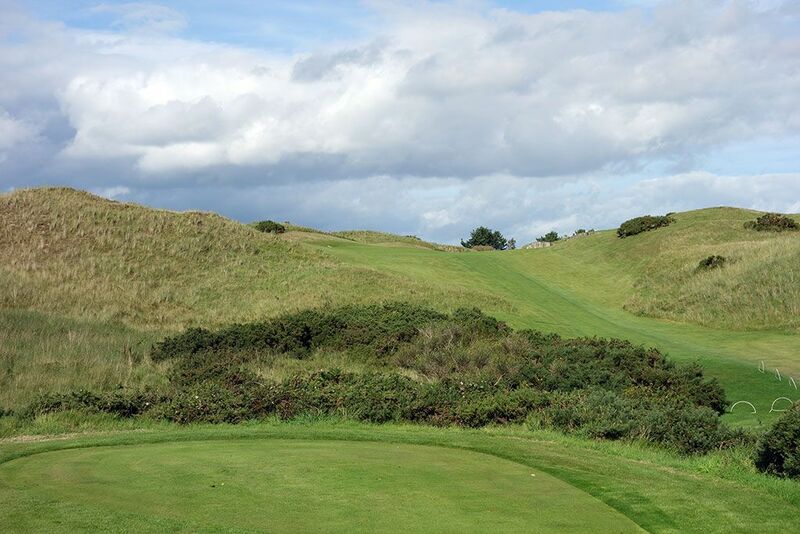 Unlike many Irish links courses that don't allow carts, The European Club offers them to patrons although there need not be a large supply of buggies since you will likely enjoy the privacy of being one of the few golfers on the course that day. Course conditioning is excellent and the 127 yards deep green on the coastal 13th hole is something to behold. 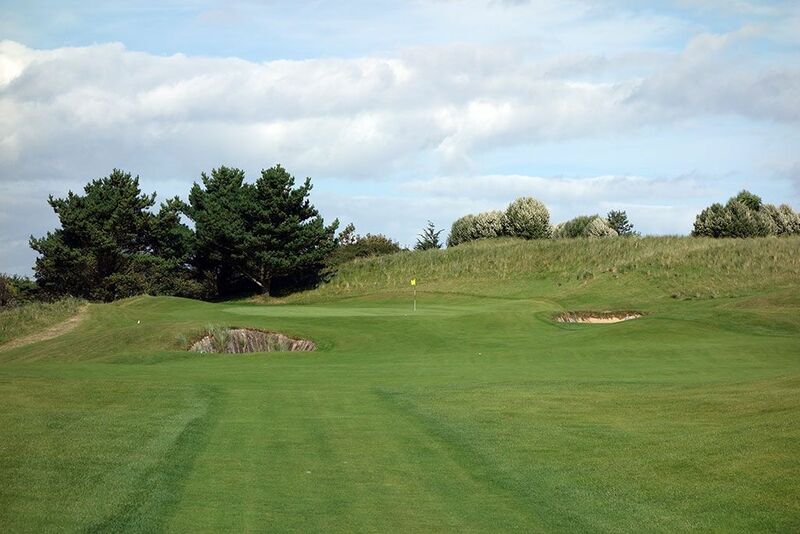 It would be wise to take advantage of the club's reround rate which offers green fees for less than half of the regular rate within 7 days of your original tee time; multiple times around this track can be necessary to appreciate the various subtleties and nuances of the course. Signature Hole: 7th Hole – 470 Yard Par – Tagged as one of the Top 100 golf holes in the world by Golf magazine, the 7th has plenty of fans. 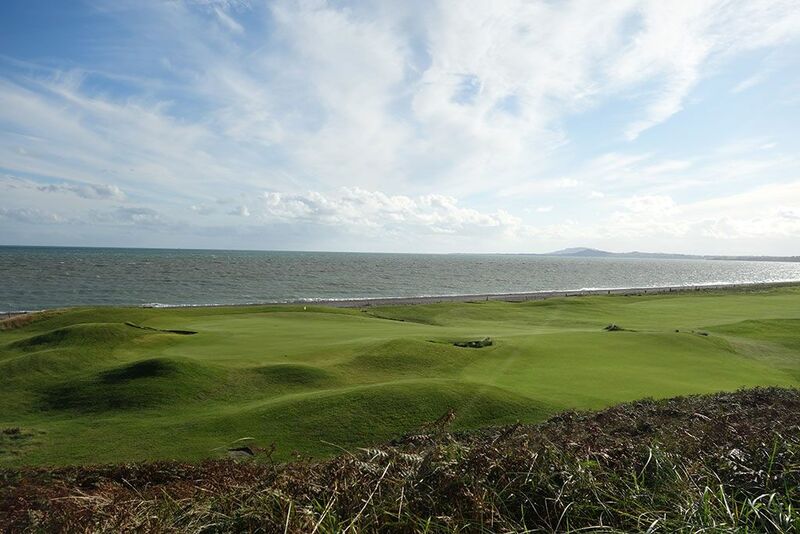 However, it is the author's opinion that the 7th is only the third best hole on the course as the 12th and 13th offer a more spectacular setting and design. 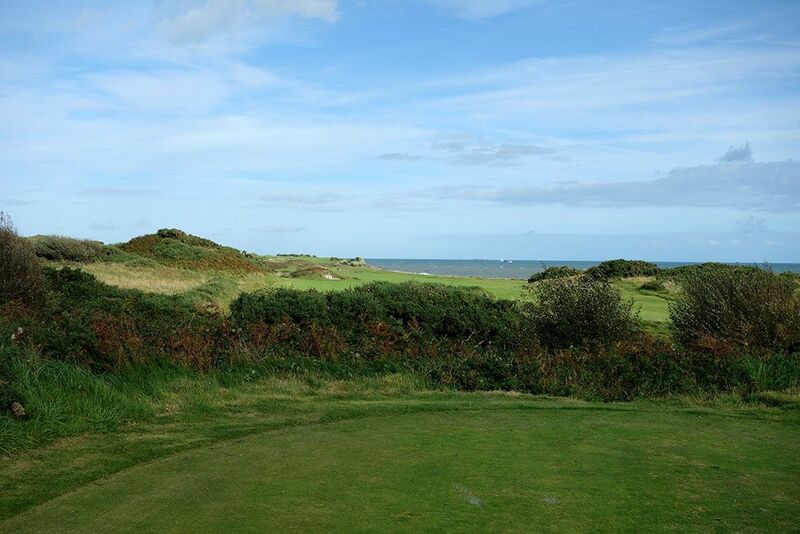 Players get the opportunity to play directly south towards the Irish Sea which is visually appealing but also means you are likely playing straight into the wind. A pond comes into play on the left side of the fairway 150 yards from the center of the green and can be a factor off the tee from the forward tees or when enjoying a tailwind. The terrain is flat from tee to green and the putting surface features three bunkers to contend with which add to the 7th being one of the toughest greens in regulation at The European Club. Best Par 3: 12a Hole – 205 Yards – While the 14th was recognized by Golf magazine as one of the 500 Greatest Golf Holes in the World, the hole known as 12a is the superior offering. 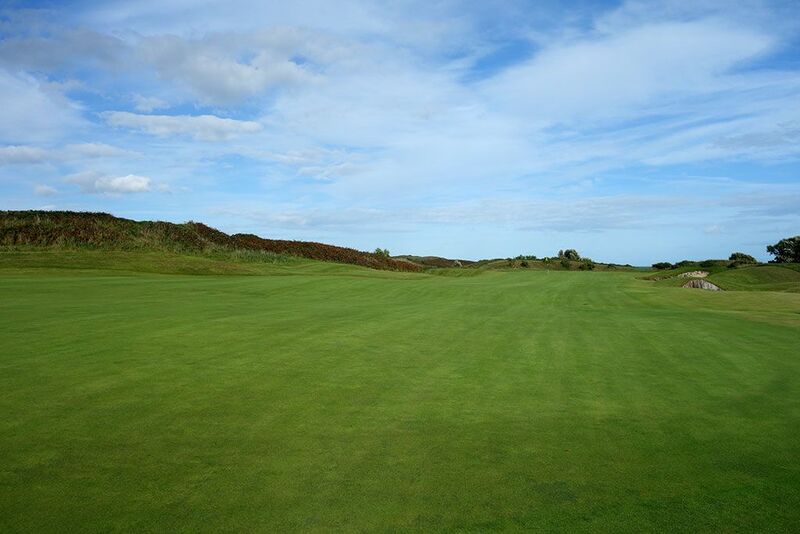 The greensite for 12a is a natural beauty sitting at a base of a colossal dune while a railroad tie lined pot bunker sits short and left of the putting surface. Pat Ruddy recognizes the natural shelf that became this green as the best he has ever had the pleasure of finding and simply God given. Views of the Atlantic off to the players left certainly doesn't hurt this incredible setting. Best Par 4: 12th Hole – 459 Yards – While the 7th hole was recognized as a Top 100 hole in the world by Golf magazine and the 12th as just a Top 500 hole, the 12th is the superior two-shotter. 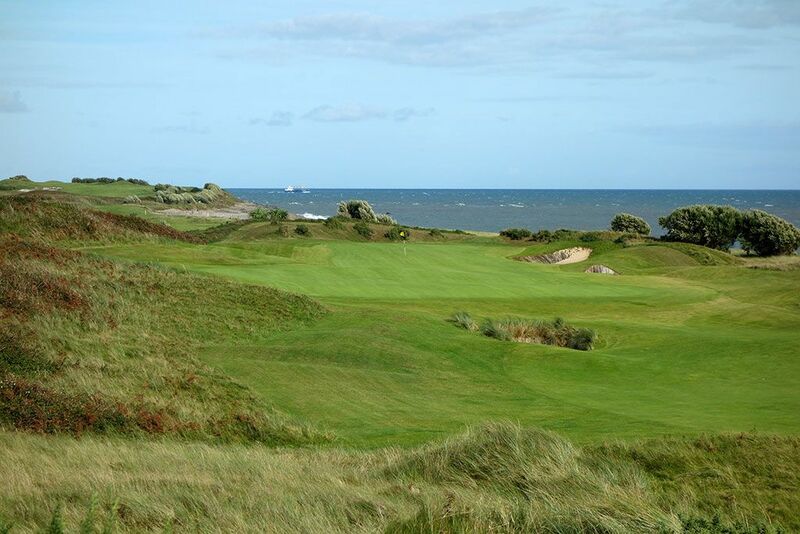 Ruddy brings players out of the dunes and onto the ocean as the hole travels northeast along the coastline the entire way to the green. Speaking of the green, this 127 yard deep behemoth is the longest in the world and one of the only greens you'll ever feel good about three-putting. Attempting to hit a ball with your putter from the front edge off the back of the green almost isn't possible but the reverse can happen with the back to front slope. 127 yards is incredible when you put it in perspective; the approach shot can play eight clubs different depending on the hole position, the green is longer than the famous 7th hole at Pebble Beach or the acclaimed Postage Stamp 8th hole at Royal Troon, and the green is larger than any double green in the world including the famed putting surfaces at St. Andrews. In the end, it is a really fun feature and unique experience to enjoy. 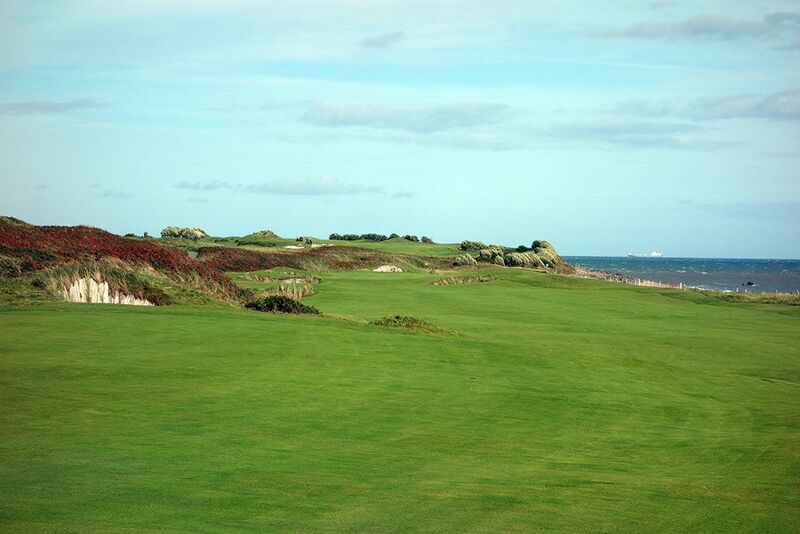 Best Par 5: 13th Hole – 596 Yards – The best hole at The European Club is this coastal three-shotter that follows up the world class 12th and 12a holes. Measuring nearly 600 yards, only the longest of players can navigate around the 15 bunkers on this hole and reach the green in two. 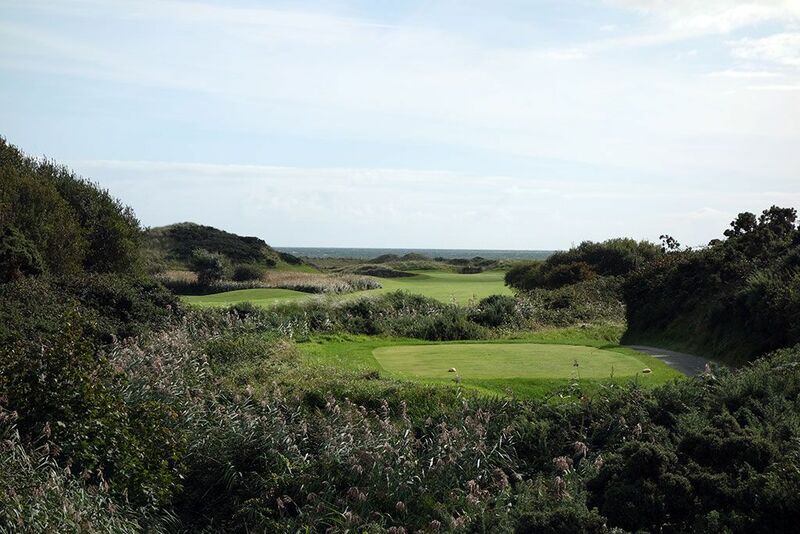 The tee shot plays from the gorse covered dunes easterly towards the fairway before the hole reaches the Irish Sea and follows the coastline northeasterly to the horseshoe shaped putting surface. A bunker rests in the middle of the horseshoe green and can create an interesting predicament on approach shots or when you find your ball on one leg of the horseshoe while the flag is down the other. The impressive hole has it all; a variety of foliage and colors, engaging design elements, and an inspiring setting. Birdie Time: 3rd Hole – 499 Yard Par 5 – At a mere three feet shy of 500 yards, the 3rd is a very reachable par five and excellent scoring opportunity. Ruddy pinches the fairway to basically a walking path width for 70 yards starting 220 yards from the center of the green so players need to hit their tee ball no more than 270 yards from the back tee to keep the generous portion of the fairway in play. The fairway flows 20 feet downhill which helps when going for the green in two. The putting surface is protected by a pair of bunkers in front but the green has plenty of depth to receive your approach so error on the side of going long. The grass covered dune and Atlantic Ocean in the background create a nice setting. Bogey Beware: 4th Hole – 470 Yard Par 4 – After playing The European Club's easiest hole, the course counters back with one of its toughest. 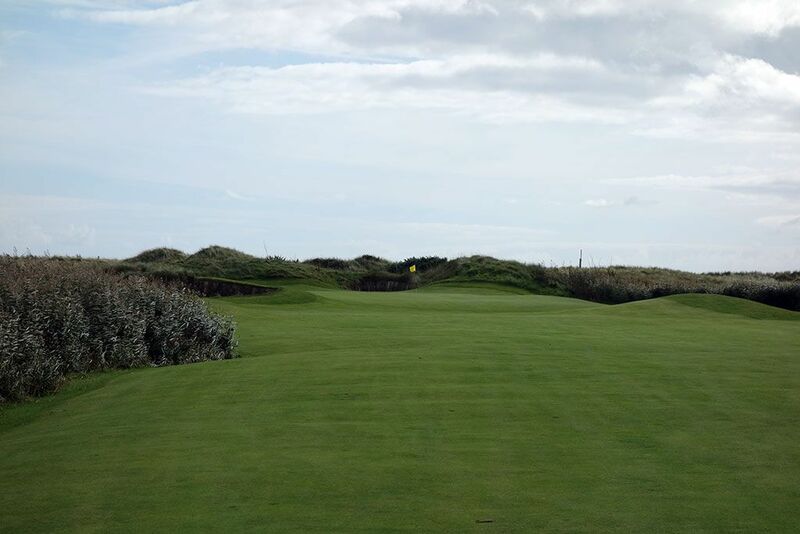 This lengthy two-shotter features a half dozen bunkers to navigate with the sandy abyss short and left of the green being a par killer if you end up in it. The green's false front is quick to repel shots that display any ounce of weakness on their way to the flag. The European Club is one of the toughest courses you'll ever come across and when it's windy, holes like the 4th make bogies seem like pars.